"The Alon Erez Law Firm is there for you 24/7"
Police interrogations, arrests, stay of exit orders, criminal offenses, slander, appeals, deletion of a criminal record, juvenile delinquency and others are part of Israel’s criminal law which is regulated by the 1977 Penal Code. In representing a client in these areas it is required to have a lawyer who has knowledge with the law, and familiar with the Israeli court system. Furthermore, is driven to relentlessly pursue his clients’ interests in order to maximize their rights. Adv. 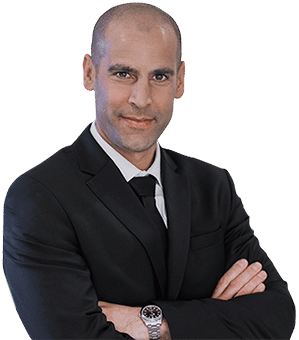 Alon Erez is a criminal lawyer with many years of experience as a state attorney and as a lawyer in some of Israel’s leading criminal law firms. He is familiar with every aspect of the country’s court system such as the General Attorney’s Office, the prosecution, the courts system and various criminal law experts. In his work, he is driven by his strive for justice and the purpose of protecting his clients. Therefore, the firm offers its clients, uncompromising customized legal advice from the very first stage of the case until the matter is resolved to the client’s highest satisfaction. In the criminal justice, our firm offers its clients legal representation for a variety of offenses, such as property crimes, drug offenses, weapon offenses, fraud and deception, domestic violence and computer and Internet crimes. Additionally the firm engages in deletion of criminal records, preparing pardon applications, representing prisoners before release committees and submitting prisoner petitions. Our guiding philosophy is to provide professional advice and support based on awareness of small details as well as a broad view of the entire status of the case, from the summons for questioning, through the investigation prior to filing an indictment, the arrest after filing the indictment, various hearings, and of course litigation and administering the case within the various legal instances, including an appeal. The firm is also experienced in representing prisoners before release committees, different prison service committees and in filing prisoner petitions. Among the firm’s additional activities are traffic offences. In any event of a traffic offense such as drunk driving, speed violations, etc., it is highly recommended to consult with an attorney who is an expert in this field. Often, skilled representation can lead to cancellation of the penalty and the record’s deletion, which can save you considerable time and money, prevent the need for driving refresher courses, and make the revocation of your driver’s license or a repeat driving theory examination unnecessary. In the area of traffic offences, the various laws and regulations must be thoroughly understood in order to ensure your rights are fully utilized. Therefore using the services of an expert attorney is definitely recommended. Another area of activity in which we engage and requires expertise and experience is military justice. The 1955 Military Justice Law applies to anyone serving in the IDF and for that matter it is required separate expertise and intricate knowledge. Adv. Alon Erez has been authorized by the Committee for Authorizing Military Defense Attorneys to defend soldiers, officers and career soldiers at any military court, committee and IDF hearing. Some areas in which Adv. Alon Erez is specialized in a specific legal field that include: drug offenses and the refusal to undergo a urine test, weapon offenses, absenteeism, desertion, evading military service and disciplinary offenses, etc. Adv. Alon Erez would utilize every legal tool and his expertise to assure that his clients get the best representation. Adv. Alon Erez is available 24/7 on his mobile phone: 972-50-7368203 for any questions or matters that needs to be solve.